We offer on-site CJIS live scan services—at your location or at the Three Brothers store. We require a minimum of 10 candidates for screenings, we do not have a maximum number for onsite screenings however the number of candidates must be confirmed during verification of onsite screening. State of Maryland screening fee $18.00, FBI screening fee $12.00, and Three Brothers processing fee is $25.00. Check details for additional fee’s if your location is more than 10 miles away from Three Brothers located at 3061 Frederick Ave. Baltimore, MD 21223. Bring payment as indicated below. Major credit cards and cash are accepted. 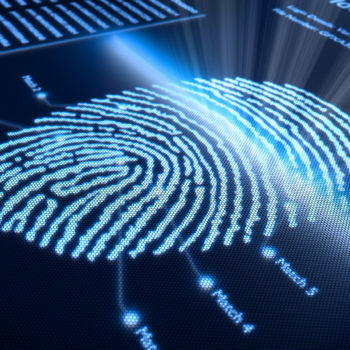 On-site Livescan Fingerprinting services are available throughout the state of Maryland for private institutions, businesses, schools and others who have a group of applicants requiring to be fingerprinted for state and Federal criminal background record checks. If you would like to have this service, call to set up an appointment. Records submitted electronically by the Department of Public Safety and Correctional Services to the State of Maryland routinely average 3-5 business days or less to complete and return to the agency requesting information. In most cases, results are received electronically by the requesting agency in just a few short hours. A request submitted on standard fingerprint cards average 6 to 8 weeks to complete. Processing times for FBI records request currently average 8 to 12 weeks (or longer) to complete. Approximately 7 to 10 days after submitting the record request applicant should receive a copy of the report if submitting for a personal review. If the applicant fails to receive a copy of the report, they are urged to contact the appropriate state or Federal government agency listed below with their tracking number provided to them at the time of being fingerprinted to check the status and request a copy of their report. Unless otherwise exempt, as of October 1, 2013, a Maryland resident must possess a valid Handgun Qualification License before he/she may purchase, rent, or receive a handgun. Details on exemptions may be found below. You do not need a Handgun Qualification License to own a gun you already have. The Handgun Qualification License is only needed for purchasing, transferring, or renting a regulated firearm after October 1, 2013. A: Please refer to this webpage. 1. A Licensed Firearms Manufacturer.2. Active law enforcement officer or a person retired in good standing from a law enforcement agency of the United States, the State, or a local law enforcement agency of the State.3. Active or retired member of the United States Armed Forces or National Guard and possesses a valid military identification card.4. A person purchasing, renting or receiving an antique, curio or relic as defined in federal law.5. Maryland licensed firearms dealers. Someone who completed a firearms safety training course approved by the Secretary ofthe Department of Maryland State Police. Has completed a course of instruction in the competency and safety of firearms as prescribed under Natural Resources Article, Â§10-301.1, Annotated Code of Maryland. Application for the Maryland Department of Natural Resources Hunter Safety Course Certificate can be obtained from the Maryland Department of Natural Resources (DNR) may be used in lieu of Qualified Handgun Instruction. Is an honorably discharged member of the armed forces of the United States or NationalGuard. Health and Mental Hygiene (http://dhmh.maryland.gov/mha/SitePages/SB281.aspx) makes available to persons who are prohibited from possessing certain firearms a process to apply for relief from these prohibitions. The Handgun Qualification License is accessible online through Mylicense. For access please use this website. CJIS also has a website listing other providers of fingerprint services on this webpage. Please note: hours and prices vary. Within 3 years prior to the submission of an HQL application, an applicant must demonstrate a satisfactory completion of a Firearms Safety Training Course. Qualified Handgun Instructors can be found online. State Firearm Law. Overview of the State firearm laws, including discussion of what constitutes a regulated firearm, how to properly purchase or transfer a firearm, where allowed to carry or transport a firearm, when necessary to possess a carry permit, who is prohibited from possessing firearms, and state law relating to minors, permissible levels of force, and use oof deadly force. Home Firearm Safety. Overview of handgun and firearm safety in the home, including discussion of access to minors, locking and storing of firearms, and use of safety devices, such as secure lockboxes. Handgun Mechanisms and Operation. Overview of the proper operation and safe handling ofa handgun, including cleaning and maintenance, the loading and unloading of ammunition, and the differences between revolvers and semi-automatic handguns. Operation and Handling Demonstration. Orientation component that demonstrates theperson’s safe operation and handling of a firearm, to include a “live fire” component in whichthe applicant safely shoots the firearm. An applicant may not be required to fire in excess of 15yards during qualifications. Acceptable methods of payment include Visa or MasterCard Original/Initial – $50.00 – Fingerprint Fees not included.